We’re always looking to pick the brains of authority figures in the financial niche. Recently we had the pleasure of interviewing Hardbacon’s co-founder and chief financial analyst Xiaolei Liu and asked her some questions that many investors are probably seeking the answers to today. Xiaolei discovered an interest in investing while completing her masters in education. After which she tackled the CFA program and will be taking the third level exam next year. After working for a large financial company for some time she joined Hardbacon. Her backgrounds in finance and education have come together as a nice fit for providing educational content regarding investment. She believes that some of her most valuable experience came from her time as a retail investor. Here we posed a series of questions for the ex-high school science teacher and language instructor that we believe are of value. Let’s get right into it. What inspired you to get into the world of finance and investing? 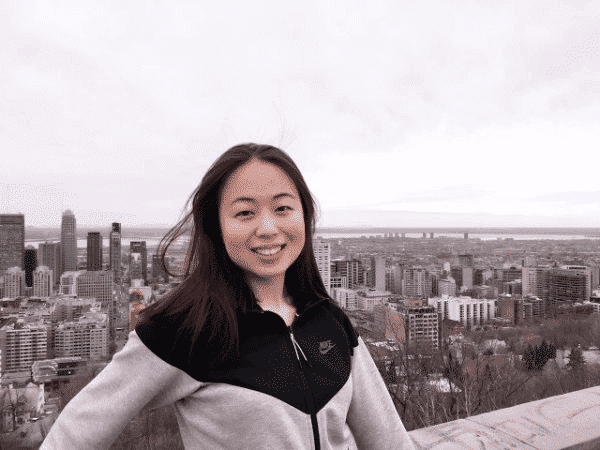 Xiaolei: For a long time, I have always considered finance and investing something exclusive to financial institutions, wealthy individuals, or people with a formal background in finance. Although I had always been interested in growing my savings, I had never gathered enough confidence to start investing on my own. Things changed when I met my partner’s grandmother, who is a retired nurse and a very successful investor. Talking about investment with her was a lightbulb moment, which convinced me that regular people can totally achieve great returns and financial freedom through investing on their own. I then started with a few books on investment, and after two years of rewarding experience as an investor, I made the decision to pursue a career in this field. Tell us a little about your beliefs on self-directed investment, and what exactly that means? Xiaolei: Self-directed investment is very self-explanatory: investing on your own. However, from my interactions with new investors, one of the main barriers to successful investment is exactly the self-directed nature of it. A common question that I have received is “You think I can really do this? But…I don’t have a degree in finance.” I have a strong belief that regular people can achieve their financial goals with self-directed investing; it is more than a belief, as in fact, it can be observed frequently. Do you have a stance on robo-advisors? Many young people see technical analysis as the ultimate solution. What is your opinion on this movement? Xiaolei: I have not tried robo-advisors yet, so I cannot speak from personal experience. However, I really appreciate the rise of services like robo-advisors, because it lowers the barrier of entry to personalized investment service. In the past, only portfolios with high asset values could receive individualized advice, but the integration of computer algorithms brings professional portfolio management to regular people at an affordable price. Robo-advisor is an umbrella term for a specific technique of financial advisory. It is difficult to judge whether robo-advisory as a whole is good or bad, because each algorithm may have a unique mandate, and the key is to determine whether its algorithms fits our situations. As for technical analysis, I am not a huge advocate for it because I see myself more as an investor instead of a speculator. Analyzing the quality of a company’s stock is more meaningful to me than relying on the price movement repeating itself, especially if you are not relying on very sophisticated techniques for such analysis. Many people just starting out in the markets do not have large sums of capital to generate ideal dividend returns right off the hop. What kind of investment vehicle would you recommend to someone starting out with a small amount of capital, say $2500 or less? Xiaolei: First of all, $2500 is a decent start for investment, don’t be discouraged by the small amount you start with. The moment you set aside some money to invest, you have already achieved something great. The best choice of investment, of course, depends on each person’s situation. Although I do not have recommendations on specific securities, I highly recommend against speculating or making risky bets with your first investment for a psychological reason. If an investor’s first experience is huge losses, it is likely that he/she will be mentally scarred from investment, and hesitate to try it again; if our first experience with investment is huge gains through speculating, it will encourage us to take excessive risks later on, and luck is unlikely to be consistent in the long run. Realistically, it is difficult to achieve diversification with $2500 or less due to transaction fees, so ETFs are a good start, because a single ETF usually includes dozens or hundreds of securities in it. But you can be creative. If you are willing to take more risks (in a rational way), you can trade upon political, economic, or company-specific events. It is also reasonable to invest in something in which you have expertise. For example, I have a background in the life sciences, and it is easier for me to assess the feasibility of the new drugs being developed by pharmaceutical companies, and therefore make my prediction on its stock price. A cashier working in a convenience store might know more about the retail business than I do, and he/she can utilize this information in their investments. Everybody knows something that many people are not familiar with. As long as it is not trading on insider information, you can leverage your information advantage in investment. The average Canadian is about $22,000 in debt. What money spending tips would you give a young Canadian to stay out of debt before they have dug themselves a hole? Xiaolei: Debts are productive if the purchases we made with them add value over time, and the value added needs to exceed the interest on the debts. For example, a fast-growing business. If we use debt to purchase things that lose value over time, it will turn to a hole-digging process pretty fast. As for spending tips, everybody knows not to overspend, but it can be very difficult to control ourselves and strictly follow our budget. What I suggest is to make it a motivating process to save and invest, so we are internally driven to stay financially healthy. It is very similar to staying fit. Trying to grow self-discipline overnight and feeling guilty about overspending (or overeating) rarely work in the long run. People fall into this regret-stress-overspend cycle very easily. It works better when we turn saving-investing into a meaningful habit by asking ourselves “why am I doing it”? The best motivation always comes from inside. Whether it is to save up for a honeymoon trip or your kids’ education, find what motivates you the most. Once we are able to keep the purpose behind saving and investing in mind, it will be much easier to develop a responsible habit of spending in auto-pilot mode. Some young people are curious just how much they should be saving. What kind of figure, percentage of income wise, would you recommend a younger person save to invest? Xiaolei: I have a very conservative view on savings. It is ideal have enough savings or liquid investment to support myself for 1 year without future income, without changing my current lifestyle. Without giving a precise number, I do suggest to save as much as possible. As for how much to invest, I prefer to keep at least the next three months’ worth of expenses in cash as a buffer on top of a stable income, and the rest can go to investment. If you are very confident in your financial wellbeing, the following percentages of saving usages can be an idea to start with: 15% in cash, 35% in liquid investment, 40% in long-term or illiquid investment, and 10% in risky investment that you can afford to lose. What has been your greatest investing achievement, or your greatest mistake? Xiaolei: It is surprising to me that when I look back, the greatest investing achievement was not monetary gain; rather, it is what I have learned in the process. Investment is inseparable from all aspects of our society. By being an investor, I have been staying more tuned to the world around me. Through investments, I learned plenty about economics, accounting, and even psychology. I started to have a better understanding of the relationships among world events, economics, politics, businesses, and our everyday lives. Investment is a very vibrant activity, and it has opened the door to a new world for me. I see this learning process as the most rewarding part of investing. On the other hand, it is hard for me to pick out the greatest mistake, because I have made a handful of mistakes in the past. For example, I did not realize the importance of hedging for currency risk. I have bought some American shares with my Canadian dollar investing account, and have lost a substantial amount of money from exchange rate volatility. Periodically, I (painfully) write down the mistakes that I made in the past a few months, and also what I should do next time in similar situations. By turning mistakes into educational experiences, past mistakes will contribute to investment successes in the long run. We’d like to thank Xiaolei for taking the time out of her day to conduct this interview. At Stocktrades we are always looking to find valuable information for Canadian investors, so it was a no-brainer to reach out to the Hardbacon co-founder to see if she would answer some questions. If you have any other questions for her or investing questions in general, feel free to head over to Hardbacon and sign up for their newsletter. Hardbacon is a Canadian investing website that is looking to turn investing into a simple and profitable process for all investors. They are currently developing a mobile application that will streamline the investing process and will allow anyone to invest in the stock market without getting lost. They also offer numerous investing resources such as online courses, a magazine, a newsletter and an encyclopedia.